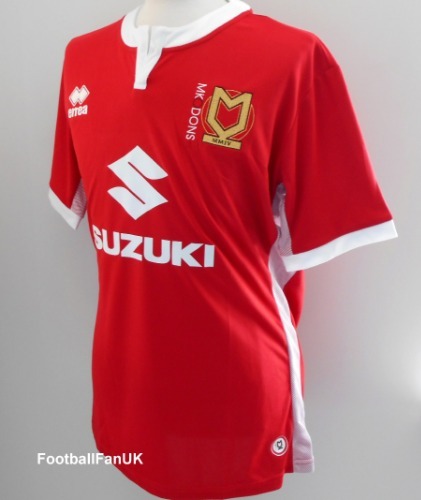 Official Errea red away shirt for Milton Keynes Dons FC for the 2017/18 League 1 season. New with tags. - Woven club colours at back of neck. - Red with white trim. - Adult XL size. Chest 47", length 30".